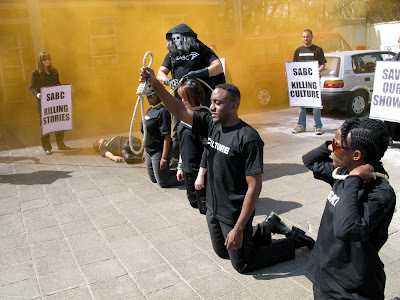 The TVIEC, in their continued efforts to rescue the television industry from the SABC's mismanagement, staged a protest today outside the SABC in Auckland Park, Johannesburg. 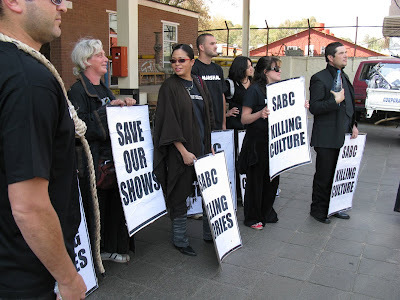 This time the TVIEC were protesting against the SABC's bid to turn itself around by cutting planned expenditure on local content amounting to R500-million. 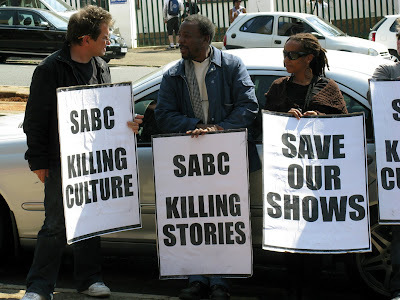 The SABC's only option is to fill our screens with a massive schedule of repeat programming, which it has been forced to begin. 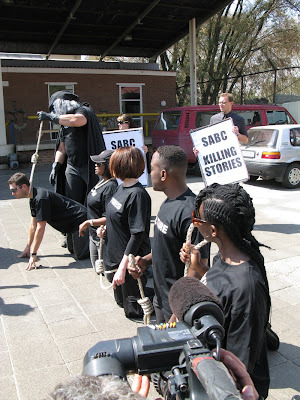 Actors, writers, producers and other industry professionals again joined together to form a theatrical protest piece outside the SABC. 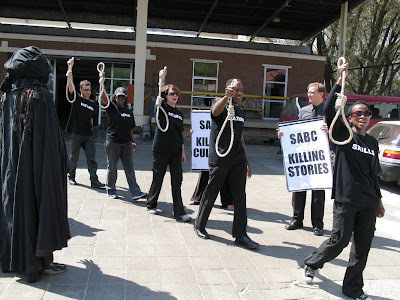 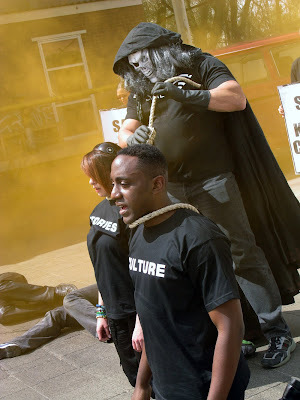 The SABC, represented by a hangman, tied a noose around the necks of actors wearing T-Shirts with words such as "Culture," "Stories," "Viewers," "Skills," "Jobs" and then proceeded to "hang" them as the actors chanted mournfully. 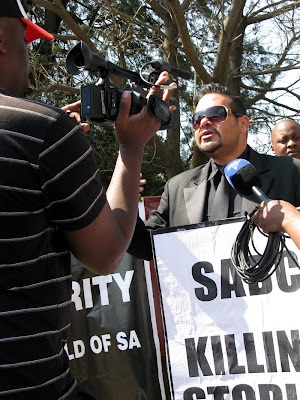 The protest was peaceful and well attended by the media. 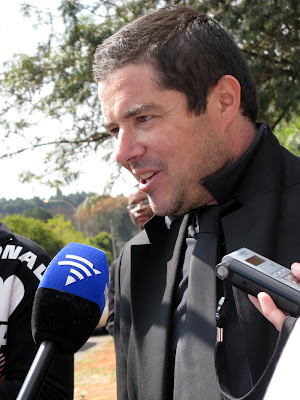 Michael Lee, now in his third week of a hunger strike against the inhumanity of the SABC's dealings with the independent production sector, was also at the protest. 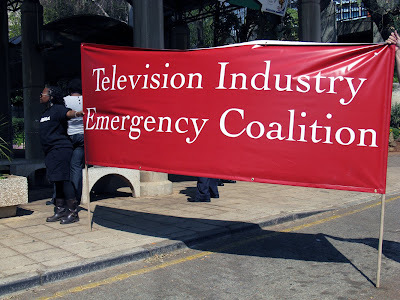 The TVIEC continue in their efforts to rescue the television industry AND the SABC.